BETHLEHEM (Ma’an) — Right-wing Jewish activist Yehuda Glick was shot and injured at a rally in Jerusalem on Wednesday evening, Israeli police and medical sources said. 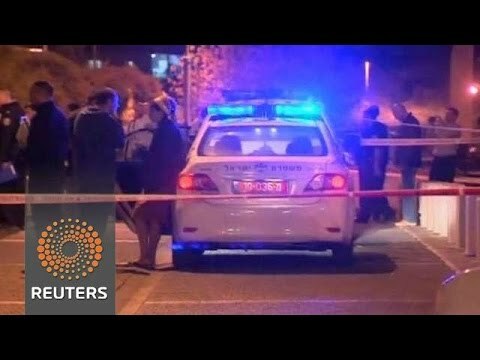 Glick was reportedly shot in his upper body at “close range” at an event outside the Menachem Begin Heritage Center in Jerusalem, where a number of Israeli members of Knesset and right-wing activists were in attendance, Israeli news site Ynet said. Ynet also reported that Jerusalem police said the shooter was on a motorcycle at the time of the incident, though the details were still unclear. Israeli police spokesman Micky Rosenfeld confirmed to Ma’an only that a “known right-wing activist” had been shot. The attack was reported after a conference focused on the reconstruction of a Jewish temple on top of the al-Aqsa mosque was concluded at the center, with top right-wing Jewish officials and activists in attendance. “What happened is horrible but very expected. Glick was constantly threatened. The fact that he was not assigned protection at all times is a failure. I say this as someone who is the target of constant incitement,” he continued. The incident comes amid increasing tension in Jerusalem over an expected Knesset vote to potentially divide the al-Aqsa mosque compound — the third-holiest site in Islam — between Muslims and Jews, or else restrict Muslim worship at the site. Although mainstream Jewish leaders consider it forbidden for Jews to enter the area, right-wing nationalist activists have increasingly called for Jewish prayer to be allowed on the site. Since Israel occupied East Jerusalem in 1967, an agreement with Jordan has maintained that Jewish prayer be allowed at the Western Wall plaza — built on the site of a Palestinian neighborhood of 800 that was destroyed immediately following the conquest — but not inside the al-Aqsa mosque compound itself. He has been previously banned by Israeli authorities from entering the compound due to provocations while on the site. Critics charge that the Fund actually leads Jewish tours to the site with the intention of leading Jewish prayer there — currently banned under Israeli agreements — and encouraging Jews to destroy the Al-Aqsa mosque and build a Jewish temple there.